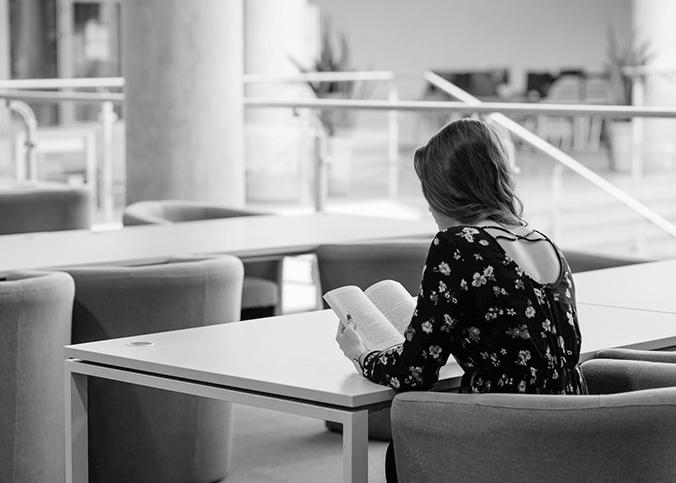 Although figures indicate that there are more disadvantaged young people in Higher Education than ever before, the numbers of students exiting education before completing their studies is on the rise. So why are students hitting the brakes on their education and how can we keep help them to reach the finish line? It’s clear that we’re seriously failing students somewhere along their academic journey, and I’m keen to raise awareness around these obstacles. The route to University is already a difficult one for young people living in low-income families. Not only do poor pupils receive less tuition and homework help than less academically able children from wealthier families but they often come from deprived areas with poor quality schools, less experienced teachers and a feeble recruitment pool to pick teachers from. They are up against it from the offset, as I have previously outlined in my blogs: ‘Investigating education disparity in the UK’ and ‘The price of child poverty’. The gap between the non-continuation rates of the most advantaged and most disadvantaged students has widened in the past year. While more disadvantaged young people are in higher education than ever before, the numbers of those students leaving before completing their studies has risen for the second year in a row. Why is this? One word: Money. Students from a more privileged background not only have advantages prior to attending, they then stand less chance of failure while at University due to financial support from their families. The dictionary has defined ‘university’ as ‘an institution of learning of the highest level’ never is it mentioned that it’s only those with means that may attend and finish – but this is this stark reality. From mental health issues, to food, housing, and hidden course costs: this is what our low-income students are up against whilst attempting to maintain academic performance in the face of poverty. The financial stress to low-income students sadly doesn’t come without a knock on effect; the significance of this for students is huge. The stress of poverty and financial instability is majorly detrimental to students’ mental wellbeing, and is also life altering when we take their failed future career into consideration after dropping out. The National Union of Students has warned the state of student mental health is fast reaching critical levels, with the number of students seeking help sky rocketing in the last four years; this is hardly surprising. The University of York reports that half of the ambulance callouts in the last year have been for incidents of self-harm or suicide attempts. In the previous full calendar year, there were 134 such callouts to the university, with suicide attempts or self-harm accounting for 32%. In 2014, there were 158 ambulance call-outs, with 14% because of self-harm or suicide attempts. This is a statistic that should not exist, let alone be accelerating. University should be a journey of self-discovery, new experiences and academic achievement, not a place whereby you determine success as simply finishing without cracking under the pressure – caused by circumstances that are out of your control since birth. Poverty does not fuel academic achievement; our poor students are being quite literally starved of success. According to recent NUS studies nearly half of students are worried about being unable to afford basic groceries such as bread and milk. Far from ideal circumstances in which to have the energy and focus to perform well academically. The University of Edinburgh puts the lower range monthly food cost at £145 and the upper range at £260 and while the amount of money may not seem exorbitant it’s just one of many essential expenditures that students are being unable to meet comfortably. Housing is a huge financial burden for many poor students in the UK; it is making higher education unaffordable. Many students’ chosen university isn’t in the same city as their family home, naturally this means paying rent, whether that’s in halls of residence or off site accommodation. Even if students are lucky enough to live at home many may be helping their parents to keep up with rent payments. This is coming out directly of their student loan; and compromises must be made somewhere along the way. The Guardian details how the cost of rent depends on location, and contract length (at the mercy of the landlord, institution or private suppliers). Additionally, the price of rent accounts for the massive proportion of the student loan, leaving little left for other essentials. Those with less of a financial shoulder to lean on are clearly penalized. The academic schedule of many simply doesn’t give them sufficient time to work and attempt to supplement their loans in order to stay afloat. Some are simply not allowed and most of those who attempt to work eventually let their university commitments fall by the wayside. Meanwhile those with no added pressure or stresses of putting a roof over their heads (or their families) can commit more time to their academic studies to progress on their course. Recently, University College London students won a £1.5m pledge from UCL after five-month rent strike, after their rent rocketed. Although a major local win, other UK universities have not taken heed and are not looking to freeze ever increasing rises in rent. The costs of attending university extend far beyond tuition, housing, food and mental health. Many students are surprised by course costs that they had not factored into their already tight budget. From books, to lab coats, printing, compulsory excursions, equipment and materials; these unavoidable and totally necessary expenditures only adds to financial anxieties. It also inhibits students from fully participating in university life and undertaking experience that maybe available to their wealthier counterparts. The University of Edinburgh helpfully advises that students allow for costs such as ‘printing, stationery, photocopying, textbooks – £25-55’- but this is certainly not all encompassing. I haven’t even touched upon transport, and further education. However you only need to look at the Student Room forums to find numerous students attempting to rideshare in order to attend 6th form colleges far from home or arrive on campus. Students in London particularly are stung by travel costs. TFL may offer a student discount but even with the 18+ student zones 1-3 card that works out at £1080 a year! The journey to finish university is pitted full of poverty potholes; but I’m glad to be a part of an organisation (NUS) that promises to shine a light on student poverty, and push the government to reform education funding. NUS’ Student Poverty Commission, led by NUS President Shakira Martin will be ground-breaking and I’m looking forward to seeing the changes it will force our government to bring about.